For a great venue right off I-565 near the U.S. Space & Rocket Center, reserve the meeting room at the Country Inn & Suites. 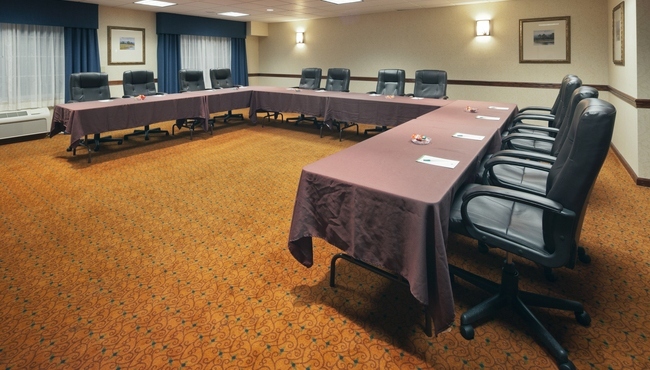 Our meeting space of 750 square feet comfortably seats up to 40 attendees coming from both the Madison and Huntsville areas. We can arrange the furniture to accommodate small board meetings or larger seminars and incorporate audiovisual equipment to enhance your event. If you need help with planning or catering options, our professional staff will gladly assist.